The one thing to take the headlines away from England’s failings on the field at Euro ’88 was the conduct of their hooligans off it, with violence on the streets of Stuttgart and Düsseldorf having marred their matches against the Republic of Ireland and the Netherlands respectively. There had been plenty of unfortunate instances of hooliganism involving a section of England’s followers before, but now the problem was threatening the future of the national side. A 2-0 home defeat against the USSR in a friendly in June 1984 had represented the previous low point for Bobby Robson during his England reign. England had a few months earlier failed to qualify for Euro ’84 and this latest loss ended with him being barracked by a vocal section of the Wembley crowd. Over the next four years he enjoyed a turnaround in fortune, qualifying unbeaten for both Mexico ’86 and Euro ’88. But now England were back in crisis. Robson could point to a combination of bad luck and key chances being missed during their opening two matches in West Germany, but against the USSR he had no such excuses to offer. He would lament it as “without doubt the worst performance” during his time in charge and the vultures were circling, as he remained caught in the tabloid war between The Sun and the Daily Mirror. 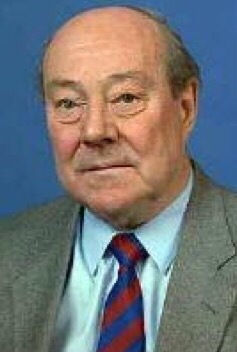 Robson did offer to step down, but Millichip gave him his backing to carry on. 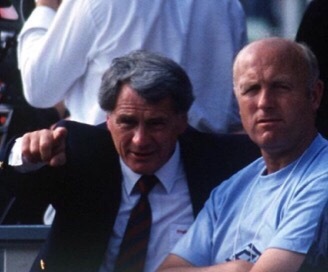 Bobby Robson and Don Howe. England desperately missed the injured Terry Butcher during Euro ’88, with the pairing of Tony Adams and Mark Wright – both playing in their first major tournament – unable to prevent four goals being conceded in the opening two matches. In the match against the USSR, Adams – the more criticised of the two – scored but Wright wasn’t involved after complaining of an injury. It proved a costly move, Bobby Robson not selecting him again until April 1990. Wright went on to shine during Italia ’90, but his absence from the USSR match was soon brought back into the spotlight later that year when Robson published his autobiography Against the Odds. 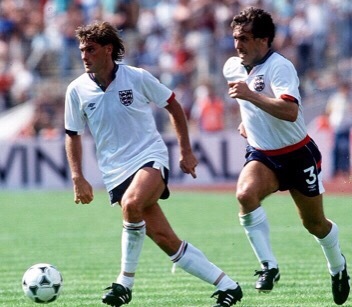 Glenn Hoddle and Kenny Sansom both played their last England match against the Soviet Union in 1988. Nine years earlier, Glenn Hoddle has burst onto the England scene amid great excitement when he scored on his debut against Bulgaria. Now against USSR he was playing what would be his final England match, being culpable for the opening goal conceded after three minutes as he carelessly lost possession and Sergei Aleinikov scored past Chris Woods. 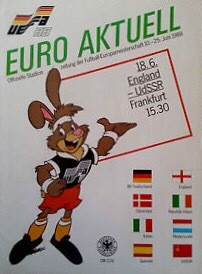 As Rob Smyth wrote in his excellent re-assessment of England’s Euro ’88 campaign, it showed “while their bodies were on the pitch at Frankfurt, their minds were already at home”. Dave Watson was among the players never capped again after appearing against the Soviet Union. Th pair quickly made their peace and stayed international team-mates for another two years, but it had been an unsavoury incident involving two of the team’s most senior players that summed up England’s miserable summer. The squad headed home after three defeats, with the match against the USSR particularly deflating. When they next took to the field in September against Denmark, Bobby Robson made changes including giving debuts to Paul Gascoigne and Des Walker who both went on to shine during Italia ’90. That tournament was Bobby Robson’s swansong and it proved a much better way to go out than if it had been after the shambolic performance against the USSR in 1988.